If I’ve learned anything in my 20+ years in advertising it’s that the only constant is change. Changes happen every day — from small tweaks to ads to brand shifts — and sometimes they go all the way to the core of the company. This industry is not for the faint of heart. The only way to navigate the crazy obstacle course we call advertising is consistent leadership. Two weeks ago, I interviewed someone who I believe has cracked the code of building an internal agency that does game-changing work. “Internal agency” and “game-changing work” aren’t phrases you usually hear in the same sentence — a testament to her leadership skills and creativity. Since we spoke, Teresa had to make the tough decision to downsize her department because of a shift in the company’s strategic goals. Her willingness to share her experience is why I still have faith in the industry. When asked if she would build the agency the same way all over again, she replied without hesitation, “100 percent.” Below is our conversation. Bees with Backpacks was the first major project Agency Inside created back in 2014. In 2017, Agency Inside was recognized as #1 In-House Agency by Ad Age. How did that come about? At the time, Intel was doing 95 percent of their creative work with external agencies. Steve wanted to bring all the work in house. I didn’t know if it was the right thing for Intel because I didn’t know everything Intel did, where they spent their money, or what the ROI would be. I was given the luxury of several months of learning the business to see where I thought the opportunities were for really doing good work at a lower cost than external agencies. Long story short, we didn’t bring all the work in house. We still have an internal and external agency model. I oversee all global creative execution. Last year we created about 7,000 assets. Do you have access to the C-suite leadership across the organization? Yes, it’s totally critical. I’ve seen many that don’t, and they battle every day to do the work — to sell themselves and sell their capabilities. If you do not have C-suite support, it’s nearly impossible. How did you structure your department when you were just beginning to build it? Where did you start? You have to have a pretty good idea of what the company needs before you start hiring creatives. I didn’t hire creatives for a year. I freelanced them, but I set up the infrastructure first: operations, account services, and production. It was totally a startup. I knew from being a creative if we didn’t have the infrastructure to support creatives, it would’ve been a disaster, so I waited until everything was in place and then I started hiring creative. How much of the decision to keep the work inside is based on dollars?Having an internal agency can’t just be about savings. It’s got to be about being close to the brand and having access. All the jobs go through my team: the central marketing group. When a job comes in, we have a brief description of what it is. We look at the job and discuss where it will be executed best. Our jobs are tiered, so we know the level of effort to put against a job given its complexity, its budget, and its impact in the market. We then cast the job accordingly. It’s different almost every time. We don’t always put the same people on the jobs every time because we want to get fresh perspective and give people new opportunities. Is there anything you haven’t done that you want to do? Not really. The market is really changing. We’ve done everything from Lady Gaga at the Grammys to Super Bowl activations with drones and the Olympics. There’s not anything bigger than the Olympics from a world stage. We had the number one share of voice for a global sponsor. It was our first year at the Olympics. Always-on marketing is something we don’t practice regularly, and it’s a capability that needs to be fleshed out at Intel. One Show awarded a red pencil to ‘AI Inherits the Great Wall Miracle’ for Intel China. The award is given the most innovative work of the year which uses the latest technology and leads the trends of innovation. I recently saw your work restoring the Great Wall in China. Did you do that work internally? Yes, the internal team conceived and produced that project. We were asked to do a video showcasing the Falcon 8 drone’s scanning capabilities for oil rigs. We made that video, but then we started thinking of ways to deploy it that might have a broader brand appeal. The idea of helping to restore the man-made Wonders of the World came from my creative teams. I called my marketing partner in China and asked how the wall was holding up. He said that parts of it were in great disrepair and that he knew people who worked at the Great Wall preservation society. Then he connected us with AI engineers at a local university that was working the Great Wall preservation project. If we had simply followed the assignment, the project would have stopped at a video of the drones scanning an oil rig. How have you created a culture where it’s a positive thing to think beyond the assignment? We recognized the need for it. The campaign was “Intel Inside” for so many years that it had just dropped into the background. When I got to Intel and got to see all the things they were doing behind the curtain, I was amazed. I had no idea we were in the space shuttle, in the Mars rover and in the Hubble telescope. I realized we could just tell people so that’s what we did. We looked around at other technology advertising, and everybody at the time was ripping off what Apple had done. It was beautiful, but people were doing their version of it. We saw an opportunity to create a brand which simply showcased the performance of the product. All of those things came together and allowed us to create something artful and performance-based. It was received well by our customers: the people who buy our products to put into their products. It kind of just continued from there. 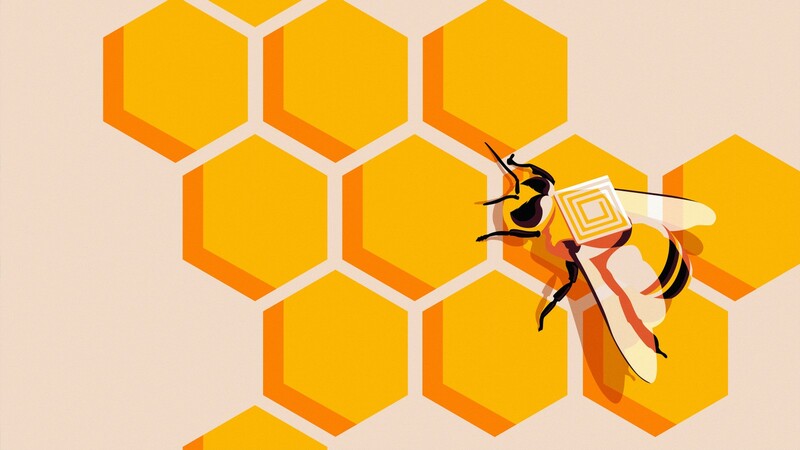 To understand the bee population decline, Australian scientist de Souza attached RFID tags to measure how and why the bees deviated from their intensely predictable behavior. The data was communicated to an Intel Edison compute module installed in each hive. Would you still consider Intel an ingredient brand? Um, no. No. I consider it an experience brand. A brand that makes amazing experiences. It’s a data brand that actually can make and store the data, then deploy the data in a meaningful way. I never really thought about it as ingredient brand. If you think about it that way, it brings you to a place that is locked inside. Do you consider Intel a tech company? 100 percent. It is THE tech company. The technology of Intel drives everything we do. The amazing stories come regardless of whether we’re talking about a drone, how data is being used today or how artificial intelligence is going to impact us in the future. There’s never a shortage of innovations. I saw how you talked about combining experience and intuition to get the job done. For a tech company that is about data, how do you champion the role of intuition? The thing with intuition is: is it just is. Whether you’re right or not is the question. I’ve been doing this for a long time, and I think your wins shape your intuition. You can have wrong intuition or bad intuition, but you learn from that and stay away from those directions. I was really lucky that one of the first things I did at Intel was pick Jim Parsons for our spokesperson. He ended up being a wild success. That was intuition. The agency had pitched another actor, but he just didn’t seem right. He didn’t exude intelligence. 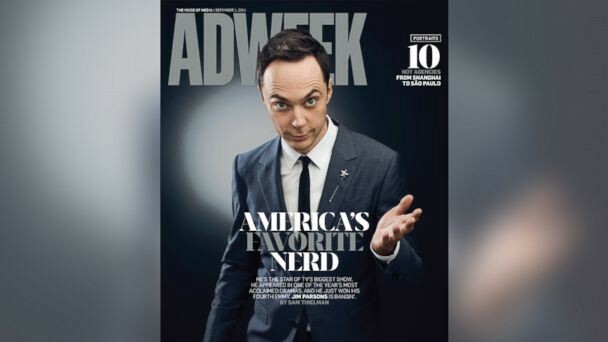 There was an Adweek lying on the table with Jim Parsons on the cover. It said: “America’s Favorite Nerd.” I thought, “We’re the nerdiest company in the world. He is perfect.” I picked it up, handed it to the creative director and said, “Go get him.” It ended up being a really good decision for us. I’ve made some good bets that have paid off, and I just built on those. Do you have to protect ideas or work from immediate judgment internally? I have been lucky in that creative decisions are mine to make. All creative comes through me before it goes to the business. I present it to the business, and if they don’t like it, then of course I go back. But I have enough credibility, and I know what performs well. I know how far I’m willing to push the brand. Lady Gaga was probably the craziest idea they let me do. The CMO and I were having dinner one night, and he asked if I thought we should work with Lady Gaga. I said probably, and the following Friday, I was sitting in a meeting with her in LA. Because we’d been invisible for so long, we had to build up to the Olympics. I don’t think we could’ve gone from where we were five years ago to the Olympics and expected people to be okay with it. We had to get ourselves to a place where audiences see Intel somewhere and think, “Wow that’s really cool, and of course it’s Intel.” That wouldn’t have happened four year ago. People are excited to see what we’re going to do next. It’s less of an internal struggle and more a question of what the world is ready for. People sometimes get too close to their product and don’t share the cool stories that make their product what it is. Intel does a lot of experiential branding. How do you connect the results back to the business? It is really hard, and it’s something we struggle with honestly. It’s hard to measure it event by event. It’s more about overall brand awareness and brand perception. There’s a ton of brand metrics that we measure on. When we do something, you can see the spike. Miraculously, sales are really high around that time. There is a correlation. If people have a positive impression of Intel, it allows for higher margins than another product from another company. We are starting some new metrics that will help pull results apart to see the impact. Everything we do should be on brand. Brand advertising gets a bad name. Regardless of what it is, every single touchpoint is the brand. Whatever the interaction is, we need to make sure all that stuff lines up in support of the mission. When I first got to Intel, the messaging was all over the place. Everything looked and sounded different. Somewhere along the way the word brand got a bad reputation for being soft. Yeah, it’s crazy. We definitely struggle between the business units where we’re trying to drive and sales. You see over time that the performance of the brand often lines up with brand perception. There’s no example out there where the brand metrics are terrible, and the business continues to do well. It just doesn’t exist. Why does Intel invest so heavily in experiential marketing? A lot of companies are going away from traditional media. We still do commercials, but we do fewer broadcast campaigns than we used to. We’re about experiences, and if we don’t give people a good experience, it’s going to fall flat pretty quickly. We make sure we show up in the places our audience cares about, and it’s not always on the television set. It all comes back to the company’s values and mission. And also cost. Budgets are changing. Where people are showing up is changing. It’s a number of things. How did you wrap your mind around the volume of work when you first started? When I was building this thing, it was overwhelming. I thought, “My god, there’s so much to do with the infrastructure and the brand.” I sat myself down and I said, “You can’t do everything. This company has been here for 50 years before you and will be here 50 years after you go. Stop trying to do everything.” I started to focus on making one thing better every day. That’s how I got through the first year. It was so wildly overwhelming. I still do that. I’m really trying to focus on the things I can have the biggest impact on. What would you advise ad agencies who work with internal agencies?Make them successful. Make them successful. I speak a lot about this. External agencies are like, “Oh my god, all the work is moving into internal agencies and they don’t really know advertising.” And the internal agencies feel like they need to pull work away from external agencies to prove their own worth and be successful. Both sides lose sight of doing what’s good for the brand. Do what’s good for the brand. If an external agency helps an internal agency look good, then the internal agency is going to want to work more with the external agency. We have to figure out how to work well together for the brand. The time spend worrying and planning — instead of focusing on the brand — is just wasteful. Both sides have to help each other be successful. There’s enough work out there for both sides. But we have to be willing to come to the table.